The San Rafael Fire Department (SRFD) understands the public concerns regarding the wildfire risk in our community. We continue to work to reduce fuels in the most hazardous areas and are applying for numerous grants to help fund ongoing fuel reduction in the coming years. Since November 16, San Rafael open spaces have been closed to ALL use until further notice due to the fire risk associated with extremely dry fuels. Staff has prepared a report which details what SRFD has accomplished since July 1, 2018 to help reduce our risk of wildfire. In addition to various fuel reduction projects, San Rafael vegetation specialists have provided hundreds of homeowners with comprehensive vegetation inspections and action plans. If you are looking for tips on how to improve the defensible space around your home, please visit FireSafeMarin.org or www.cityofsanrafael.org/vegetation-management. We are on Twitter at www.twitter.com/SRFD, Instagram at www.instagram.com/sanrafaelfd, and Facebook at www.facebook.com/sanrafaelfd. However, SRFD does not monitor social media 24/7 or consider social media posts formal reports. Also, as a public agency on Nextdoor, we cannot see conversations you and your neighbors are having on your Nextdoor sites. 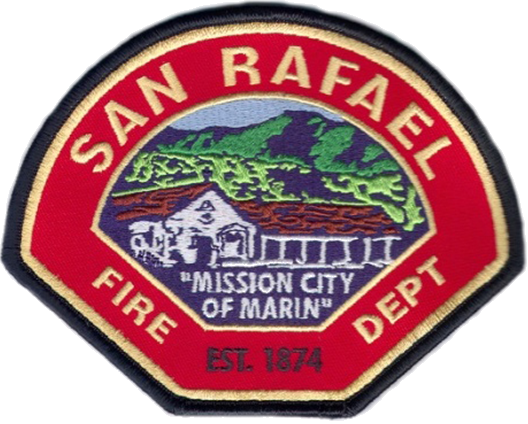 Stop by a fire station or the Fire Administrative offices at 1600 Los Gamos Drive, Suite 345 Monday through Friday from 8:30 a.m. to 5 p.m.
As always, you can report any issue to the City via www.cityofsanrafael.org/#/city/report. We’re here to help. Thank you and have a happy and safe Thanksgiving!